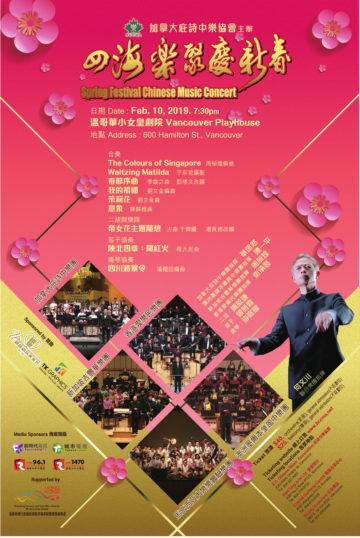 Join the BC Youth Chinese Orchestra and the Advanced Chinese Instrumental Academy Ensemble for an afternoon of delightful music. Featuring Winds of Affection, a world premier by emerging local composer, Bruce Bai. Don’t miss the opportunity also to hear pipa virtuoso, Madame Guilian Liu in solo performance. The stirring stories told in these Chinese and Canadian pieces will warm your heart in this winter season. The Winter Stories Around the Hearth concert will be held on December 15th, 2018 3:00pm at the Annex Performing Arts Theatre. Winter Stories Around the Hearth features the B.C. 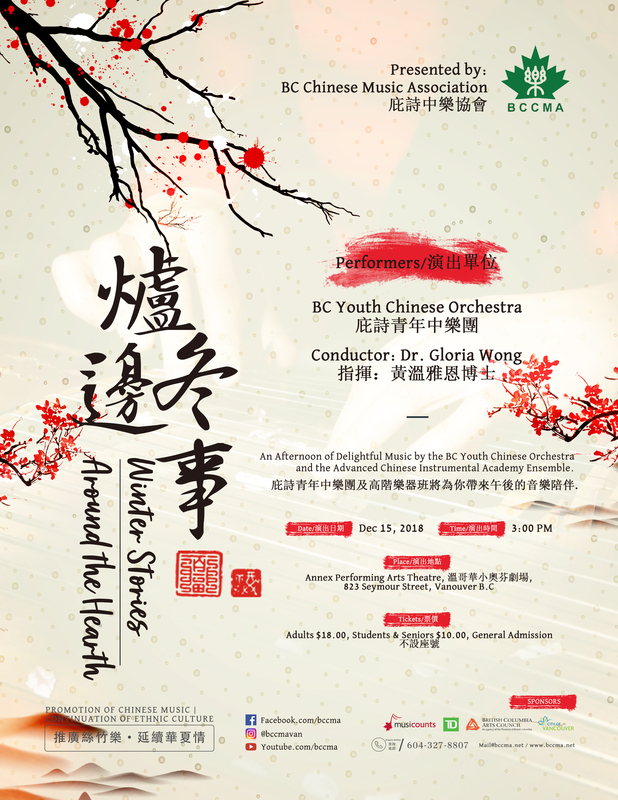 Youth Chinese Orchestra (BCYCO) and resident conductor Dr. Gloria Wong.